Became police officer in 1973. 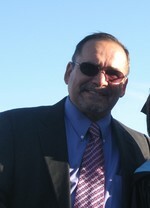 Worked for El Paso Police Dept., until 1984. Began working for Federal government and worked until retirement in 2009. Worked for United States Border Patrol, USINS in Calgary, Alberta, Canada, four years, and retired from Immigration & Customs Enforcement (ICE). My favorite school story involved Charles W.(Charlie) Davis. Charlie and I were clowning around in the hall in front of his classroom prior to "Probability & Statistics." Charlie intended to punch me on the left shoulder and his punch glanced off my musculature (joke) and hit me on the mouth. I got a busted lip and Charlie panicked. I guess he thought the fight was on. He quickly shuffled me off to the nurse's office. The look on his face was priceless. 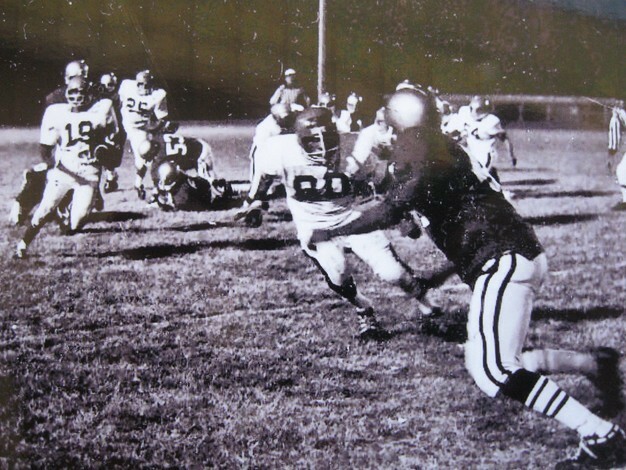 My favorite experience was quarterbacking the Mighty Tigers varsity football team. It was an HONOR to have played with 21 young men who were not expected to win one game. We tied for second in District with Ysleta. With the hard work and dedication shown by my teammates, I knew during two-a-days that we'd do better. We had a team that played alot bigger than it seemed. I'm taking life one day at a time. I'm blessed to have retired at a relatively young age. God has given me three wonderful grandchildren with whom I have a great relationship. I enjoy playing golf, fishing, and spending time with friends. DANNY MIER has a birthday today. Joe Zapata posted a message on DANNY MIER's Profile. Danny, Happy birthday my friend enjoy your day, & God Bless you. DANNY MIER has a birthday today. New comment added.